The phrase comes from a Baltimore teen who had to use six words to describe where you are from and what does it mean for a school assignment. These words are making way around social media this week. The phrase comes from a Baltimore teen who had to use six words to describe where she is from and what does it mean for a school assignment. 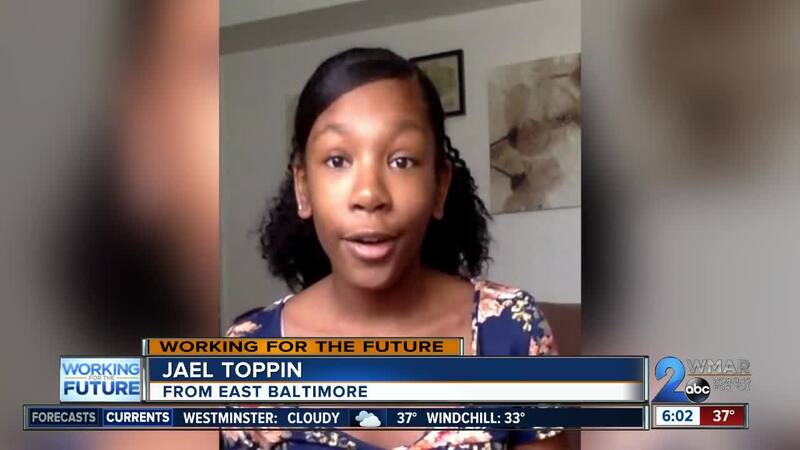 Jael Toppin then explained in a video why she chose those words. She says when she introduces herself and says she is from Baltimore, immediately people go, "Are you okay? Is it really as bad as it seems?" “No Baltimore isn’t known as a positive place. It’s known for it’s drugs, it’s guns, murders, Freddie Gray, and The Wire,” Jael says in the video. But Jael says her phrase makes a point that where you are from does not have to define you. Jael goes on to say you don’t have to follow the stereotypes that are linked to where you are from. Your environment can help you make decisions, or can affect how you live your life, but it doesn’t mean you are the stereotype. Now her words are circulating social media, and the post has gotten a lot of positive reactions and comments. Watch the full video below.